As the worlds of marketing and technology continue evolving at an unprecedented pace, email marketing has resiliently remained a tried and true, effective marketing tactic that helps businesses grow. 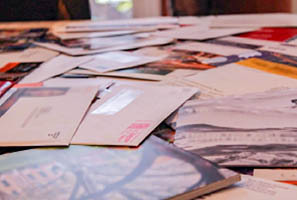 But as a small business owner, leveraging email marketing to its full potential can feel a bit like assembling 5,000 piece puzzle. Every growing, successful business is predicated upon a simple premise: the recurring and increasing exchange of value, via products or services, for money. When done right, email marketing empowers your business to consistently communicate value to your target audiences, effectively converting email sends into a scalable, predictable, and ideally an automated source of revenue for your business. But as with any large puzzle, some pieces are easy to find and place, and others are less obvious and take time. In some instances, you may discover that you’ve simply been missing pieces all along! Unfortunately, for most small business owners (SBOs) engaged in email marketing this last scenario is the rule far more often than it is the exception. Maybe this news comes as a shock to you, or maybe you’ve suspected it all along. Whatever the case, don’t give up on the email marketing puzzle just yet. I’m here to shine a light on some of the pieces you may have been missing! Surprised? Then hear me out: Mindset drives execution. Plain and simple. A positive mindset must always be your starting point because everything else will follow! If your past struggles with email marketing have left you feeling discouraged and unmotivated, then let’s change that back around by adding some perspective and context. A quick Google search quickly reveals some staggering email marketing statistics: 81% of professionals surveyed by WBR Digital and Emarsys said email marketing drives customer acquisition, and 80% said it drives customer retention. Additionally, data also shows that the ROI for email marketing is very positive, £38 for every £1 spent, according to one study. Another reason for the success and longevity of email is its ubiquitousness: by 2020 there will be over 3 billion email users worldwide, which means your prospects, leads and customers use it multiple times daily. And it gets even better: 72% of U.S. adults prefer communication with companies to happen through email, which means your target audience wants you to send them valuable, relevant and timely information via email! 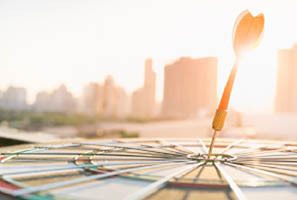 A positive mindset, within the context of your busy work days, will help you prioritize email marketing activities properly and feel motivated to take action over time! Effective email marketing always begins with a clean, targeted list of recipients to market to. But often overlooked is the fact that lists must be maintained and even nurtured over time. When it comes to list maintenance, SproutLoud’s List Management tools make it simple and easy for you to: upload and manage your existing lists, remove duplicates, purge contacts, segment contacts using filters and save them into contact groups, merge, suppress or split lists, and of course, managing your unsubscribes automatically, too. But to unlock the full power of SproutLoud’s email marketing suite, you’ll want your lists to contain much more than just a person’s email address. It’s important to put in place the in-store and online lead capture systems in order to gather important information that can later be leveraged for list segmentation and automated triggering of email communications. Some of the data we encourage you to consider gathering by default: Birth dates, purchasing history and/or frequency, customer stage or relevant sales cycle information (i.e. Prospect, lead, customer, former customer), full address and/or zip code, products, product lines and/or services of interest or purchased. If your Brand has implemented advanced list integration with SproutLoud through a centralized list source, you may already have a lot of this info at your fingertips, ready to be leveraged. If not, ensure your CRM or POS system is set up and your staff trained to routinely gather all the data points that are relevant to you as people walk through your door, call on the phone and visit your website. This data can then be exported from your CRM or POS system and uploaded to your SproutLoud account in a snap! A steady, consistent source of relevant, well designed and valuable email content is another key piece to email marketing success. Typically though, many SBOs try their hand at creating their own email templates, spending countless hours struggling with the design tools, crafting offers, copywriting, etc. Others may have earmarked some resources to hire a professional to design and code professional looking email templates, yet this approach still requires heavy involvement from the part of the business owner and other internal stakeholders. 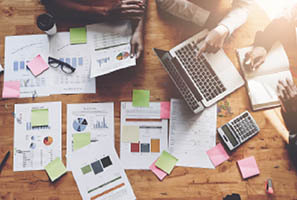 For most small businesses, neither of these approaches turn out to be sustainable or scalable over time, resulting in inconsistent or sporadic email frequencies, ineffective messaging and ultimately, underperforming email campaigns. Lucky for you, SproutLoud works closely with your Brand to design and program well laid out, professionally designed and coded email templates. These templates feature brand approved messaging, professional photography, graphics and copywriting and are all customizable with your business’ local information, contact information and depending on your Brand, even the ability to create and feature custom offers! Your time is valuable, and limited. There’s no need to spend countless hours a month designing your own emails anymore. These ready-to-deploy templates are designed to run concurrently with and in support of current national marketing campaigns being deployed by your brand. Other templates are “evergreen”, and together, all of these Brand supplied email assets give you a steady, consistent source of content through which to provide value to your audiences without the headaches, wasted time or high costs of developing your own. With all of these professional grade email templates in-hand, it’s fairly easy for you to create your own email marketing calendar. Placing one-off email orders within the SproutLoud application is easy! You can quickly select a template, select the list you want to send it to, or apply filters during the ordering process to segment your list and send out a highly targeted email. But that’s just the tip of the automation iceberg available to you at SproutLoud! Your Brand may be offering fully automated, true set-it-and-forget-it Automated Email Marketing Programs (AMP) that do all the hard work for you! Email AMPs allow Brands to schedule specific email templates to go out at specific dates and times, and based on list segmenting rules or criteria that are previously determined in order to maximize results. Email AMPs can take many shapes or forms, some are for specific products, product lines or services and some are coordinated to run with current national marketing campaigns. The key benefit of Email AMPs is that you only need to enroll once, set up your customizations once, and SproutLoud’s technology will do all the rest! All the emails that are continuously set up by your Brand as “touchpoints” in the AMP will be automatically customized per your instructions and sent out on the scheduled dates. It doesn’t get any easier than that! By using a hybrid approach of enrolling in your Brand sponsored Email AMP and sending out one-off or scheduled emails usine Brand supplied templates you’ll be well on your way to setting up a well-oiled, largely automated email marketing machine to increase revenue. Every successful email marketing strategy must be tracked, measured and analyzed over time. This is one of the most crucial reasons email has remained a trusted marketing tactic over time: because you have access to the metrics necessary to make data driven, informed decisions about what’s working, what’s not. Whether you’re sending one-off or scheduled emails independently using Brand supplied email templates, or whether you’re enrolled in your network’s email AMPs, SproutLoud empowers you to make informed decisions by providing you with reports and dashboards featuring the most relevant email marketing metrics. 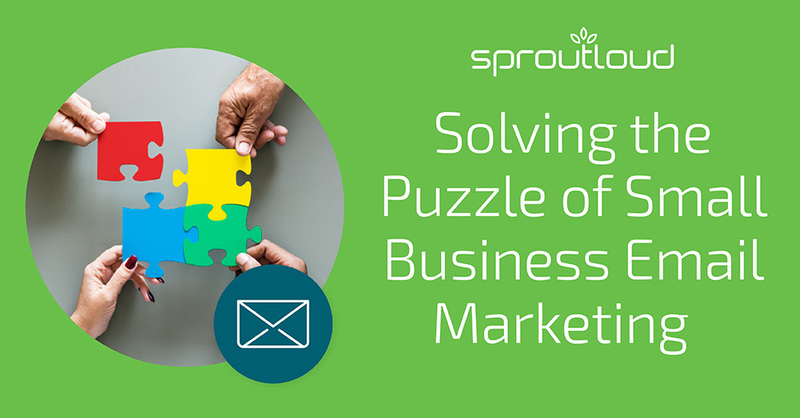 With all of these elusive puzzle pieces now at-hand, you can now start putting these pieces in place and finally solve your email marketing puzzle! Just start with a positive mindset, and start executing, one piece at a time. Talk to your Brand today about providing customizable email templates for you and your network, and setting up email AMPs. In doing so, the ultimate goal of implementing a largely automated email marketing system that increases revenue in a predictable and scalable manner is now within your reach. Why Multi-Touch Marketing is Mandatory for Successful Campaigns Effective marketing strategies deliver results. If you don't know where multi-touch marketing fits into your plans, take a moment to learn how to cover all your bases. Beny Schonfeld is a Senior Client Relationship Manager at SproutLoud.